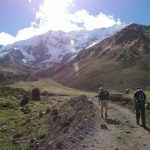 Adventures in Arequipa: Trekking the Colca Canyon and More! If your Peru vacation is centered around adventure travel experiences, then Arequipa is an absolute must-visit. 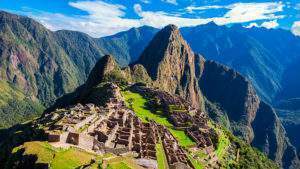 From its scalable volcanic peaks to its proximity to the world’s deepest canyon, there’s a world of adventure to busy you once there. 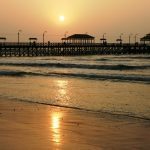 In this blog post, we clue you into a few of the best adventures Arequipa has to offer adventure travelers. 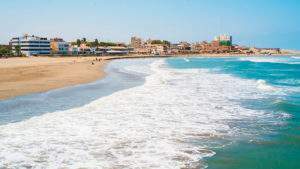 Put this adventure travel experience at the top of your Arequipa to-do list, especially if the prospect of climbing into and out of a canyon double the depth of the Grand Canyon sounds attractive. 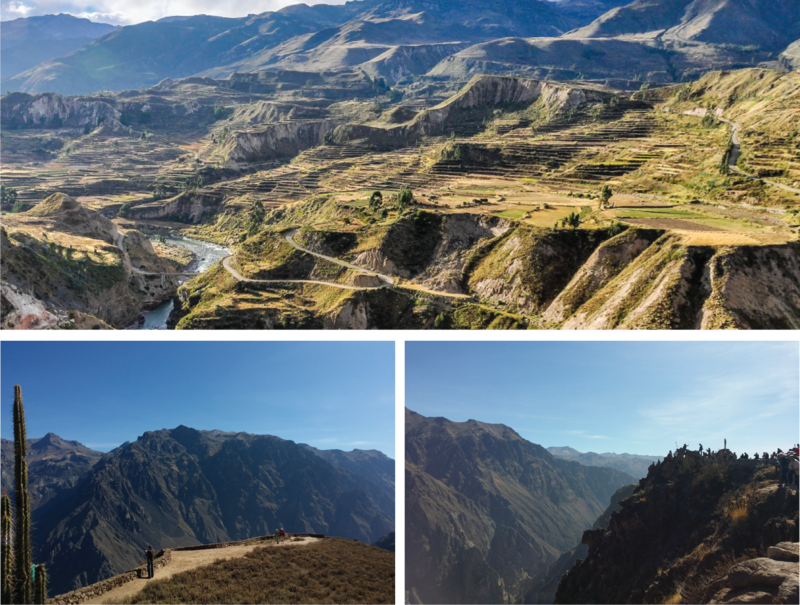 Though you can cover the ground in two days, we always recommend trekking the Colca Canyon in three to give you bit more flexibility with your pace and a chance to truly soak in the canyon’s spectacular scenery. Each day of the trek ends with a homestay in the canyon, even a dip in the hot spring-heated swimming pools of Sangalle that await you on Day 2. How does biking your way to hot springs in Colca Canyon country sound to you? 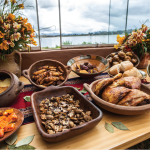 …not to mention seeing condors, archaeological sites, and colonial-era mines along the way. Explorandes’ bike adventure in the Colca Canyon is a four-day affair that blends a bit of hiking with biking and exploring. It’s a chance to immerse yourself in the beautiful canyon setting from the seat of a mountain bike, always with the promise of a hot spring muscle soak at day’s end. 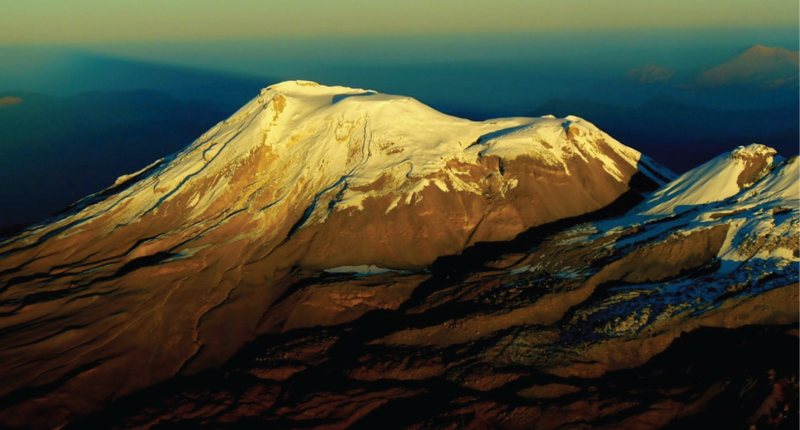 This four-day climb takes you up and back down the very same volcano in which the 550-year-old Mummy Juanita was found. 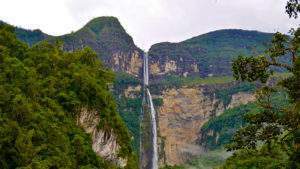 The trek is a challenging one that ultimately takes you up to 20,635 feet (6,290 meters). The views at summit are more than worth the huffing and puffing that got you there. Like being on top of the world, you can view practically all of the mountains of the Colca Valley, including famous peaks like Misti, Chachani, and Coropuna. 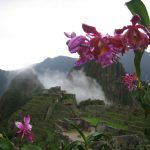 This is one adventure tour you earn with every altitude-fatigued step, but one you’ll never regret or forget taking on. 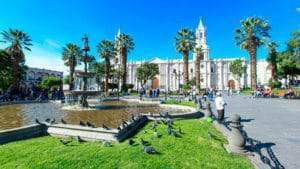 Are You Seeking an Adventure in Arequipa? 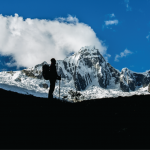 Whether you’re up for trekking the Colca Canyon, sailing its scenic trails by mountain bike, or ascending the snow-clad heights of Mount Ampato, choose Explorandes for your adventure tours in Arequipa. 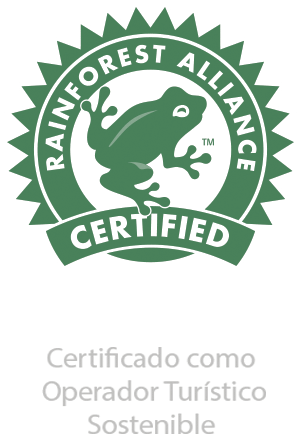 We’re the experts on all things adventure travel, and the champions of sustainable tourism.  Contact us today for more information about trekking and mountain biking Arequipa and Peru. 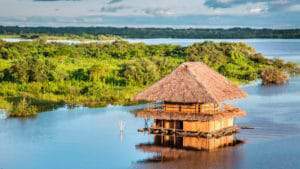 Travel the Moche Kingdom: Chan Chan, Tucume Pyramids and More!